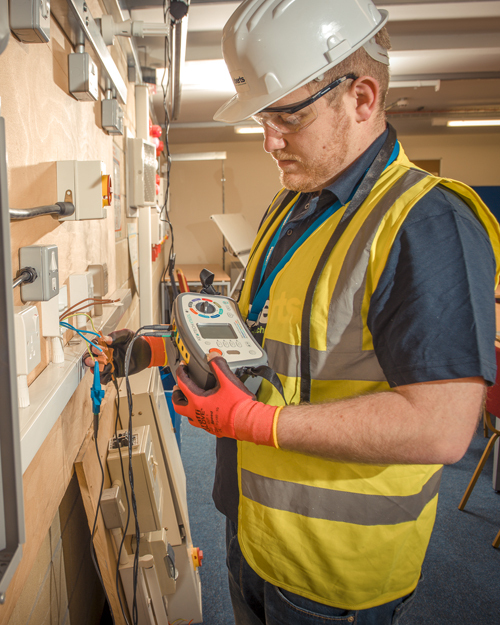 It is vital for our clients to know that their premises are safe, compliant with legislation and functioning efficiently. Fundamental to this is a programme of Planned Maintenance. Of course from time to time things can and do go wrong and it’s how you react that counts. A prompt and effective response is essential and will ensure that the impact on service and customer experience is kept to an absolute minimum. Please use the links below for more details of the extensive Planned and Reactive Maintenance services we offer. Our clients need to trade with minimal disruption safe in the knowledge that all their premises are compliant with British Standards and current legislation. We make sure that they are. We know that our client’s favourite words are ‘leave it to us’ and they can in the knowledge that we have the capability, capacity and experience to deliver a service commensurate with their expectations and brand values. In any multi-site organisation and even with the most thorough programme of Planned Maintenance in place, unforeseen problems can and do occur. These can range from relatively minor faults, a light falling from its fitting or a radiator not working, to more serious issues such as fire or gas leaks. It’s how you respond that counts and the priorities are that safety is not compromised, operational ‘down time’ is kept to an absolute minimum and the impact on customer service and experience is negligible. We understand and have embraced these priorities and have tailored our service accordingly. A 24/7 Help Desk with immediate access to fully trained, in house (no outsourcing) electrical and mechanical engineers able to deliver a comprehensive range of services. Engineers that are client aligned, trained in client brand values and assigned to specific clients thus ensuring consistency of contact and service. Familiar faces that understand our business and yours. A contractually binding commitment to agreed levels of service, KPI’s and response times. Transparent, client accessible, paper free reporting through unique CF Roberts developed software. We take responsibility for and track performance from call out to completion. Real time live data showing time of initial client contact, response time and engineer time on site. A capacity to provide bespoke temporary equipment which enables our clients to continue to trade. Engineers with the training, skill, experience and client knowledge which enables them to help our clients achieve the best investment when plant or equipment needs replacing. We can help our clients avoid expensive short term ‘fixes’ and direct them to the most appropriate and cost effective choice. We even manage capital expenditure and budgets on behalf of many of our clients.